Precious Wilson has one quality that stands out above the rest and that’s her determination to succeed. She is not a newcomer to the business or the charts. Precious was born in Spanish Town, Jamaica where she lived until the age of seven, when her family moved to Britain. 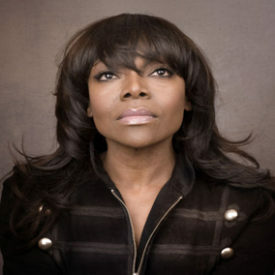 Her first big break came with her band Eruption when they entered and won an “RCA Soul Search Contest” in 1975. It was whilst touring in West Germany that they met Boney M’s manager/producer Frank Farian, which resulted in a recording contract with Hansa Records based in Berlin. In 1978 Eruption covered the Ann Peebles classic I Can’t Stand The Rain , which was a big hit internationally. Precious Wilson’s lead vocals on I Can’t Stand The Rain grabbed the imagination of the world, turning it into a gigantic hit soon to be followed by One Way Ticket , which had similar success internationally. Precious went solo and made two hugely successful Albums in Europe, We Are On The Race Track and All Coloured In Love , both on Hansa WEA label. In the mid-eighties her single entitled I’ll Be Your Friend on Jive Records underlined her appeal on the dance and soul circuit, selling extensively over a four month period. She followed up this success with the title track to the blockbuster movie entitled The Jewel of The Nile . In 1986 she became involved in the fight against drug abuse. An anti-drug disc was recorded at Abbey Road Studio: It’s A Live In World . In 1987 she teamed up with those premier producers, Stock/Aitken and Waterman for one of the strongest disco recordings of 1987 Only The Strong Survive . 1990 was a year when Precious made her debut as an actress in the Musical Blues In The Night. She, along with Stephanie Lawrence, Miquel Brown and Ewen Cummins, were the principle characters. More recently, she has appeared as a guest vocalist on the album of Techno Eccentrics Messiah. Together they achieved a Top 20 single hit in the UK, with their version of the Donna Summer’s I Feel Love . 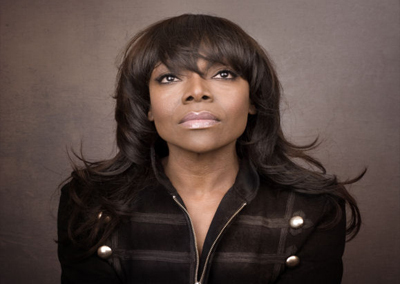 Precious also co-wrote her second track on the Messiah album, called Peace and Tranquillity . Precious has been working on new material and is continuing to establish her song writing skills for her forthcoming album. Her superb vocal talent, coupled with her stylish performances will undoubtedly ensure that the new single due to be released shortly, will be the chart hit she deserves.